THE BRONX — Local breweries and distilleries in The Bronx are getting their own trolley tour. The Bronx Tourism Council and Taste NY recently launched the Savor The Bronx Breweries and Distilleries Trolley Tour, which will take passengers to five breweries and distilleries with an historian who discusses the history of brewing in the borough. "If you’re interested in the art of craft beverages and would like a closer look at the ongoing revitalization of our borough, this tour is a tremendous opportunity," Bronx Borough President Ruben Diaz Jr. said in a statement. 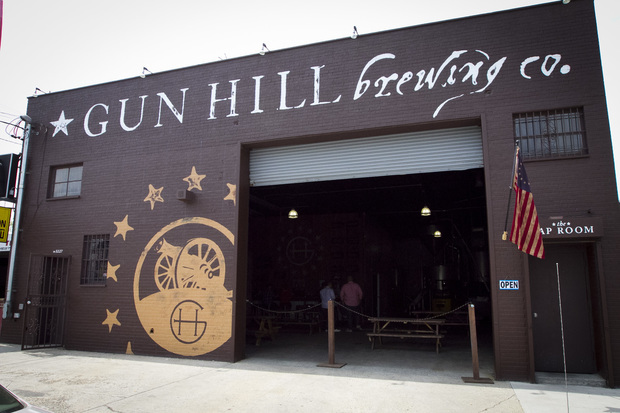 The tour starts at 11 a.m. at 851 Grand Concourse and first heads to the Gun Hill Brewery in Williamsbridge, then moves down to the Chelsea Craft Brewing Company in Claremont and stops at the Bronx Brewery in Port Morris. "A lot of people don’t necessarily think about The Bronx as a place to go to get great beer and great spirits," said Nick Mezansky, spokesman for The Bronx Brewery. "But now that there are a few of us doing it, doing it really well, it kind of gives us that opportunity to tell people that there really is a lot going on here." The tour stays in Port Morris to finish up at two distilleries: the Tirado Distillery and the Port Morris Distillery. Rafael Barbosa, co-owner of the Port Morris Distillery, said he was excited for the tour to bring more business to his company and let people know that The Bronx was becoming a hub for high quality beers and liquors. "It’s a destination place now where you can go have a beer or go have spirits at any of the breweries or the distilleries that we have," he said. Participants in the tour will receive a "passport" to get stamped by the places they visit, and once it is fully stamped, they can take it to the Blackstone Bar and Grill in Riverdale, the Bronx Ale House in Kingsbridge, the Bronx Beer Hall on Arthur Avenue and the Bronx Draft House near Yankee Stadium for a free pint. People can also use the passport for a free pint at any of the breweries and distilleries they stopped at on the tour. The tour, which also includes light snacks, is 5 hours long and costs about $50 per person. Participants must be older than 21. Tickets and schedules of upcoming tours are available by calling 718-590-3518 or online at ilovethebronx.com. The next available tour date listed online is May 6. “This is the perfect tour for folks who are both history buffs and craft beverage aficionados,” Executive Director of The Bronx Tourism Council Olga Luz Tirado said in a statement. Mark Szmaida, head brewer at the Chelsea Craft Brewing Company, said he hoped the trolley tour would increase traffic at his business by giving people a fairly easy way to reach all of the borough's breweries and distilleries in one day. "Things are getting pretty cool up here," he said.